Compare all the latest deals from HughesNet, Viasat Internet (formerly Exede) and 2 other providers in 86043. Based on 12 verified users. Internet Service: This plan offers DSL internet access with download speeds of 4mbps and mbps upload. Based on 4 verified users. Internet Service: This plan offers Fixed Wireless internet access with download speeds of 9mbps and 2mbps upload. Internet Service: This plan offers Fixed Wireless internet access with download speeds of 6mbps and 2mbps upload. Internet Service: This plan offers Fixed Wireless internet access with download speeds of 4mbps and 2mbps upload. When you’re looking to choose an Internet or television provider, it's critical to be aware of all the choices that are available to you within your local zip code. 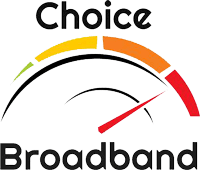 Picking a broadband and TV service provider that you can rely on and trust is a challenging choice, especially when there are so many Internet packages. With that in mind, Providers By Zip has done the legwork to make shopping for service much easier. Instead of having to conduct your own research into what providers are available in 86043, our team has already done the hard work and sorted through the providers that have services and deals to offer. Our site lets you explore service companies in 86043. The comparison table makes it simple for you to get the best internet service provider in 86043 that meets your needs. The comparison tool also allows you to search through the companies available in 86043 and filter them based on their recommendations, speed, and pricing. Being aware of all the broadband providers in 86043, you’ll be confident you’re getting the right broadband deal without the high cost. 86043 is located near to 86039 and 86042.